Phytoplankon - microscopic marine plants - could help prevent global warming. How would they do this? And is it right for man to interfere with nature in a bid to save the planet? Phytoplankton are tiny marine organisms which live in their billions in the oceans around the world and form the basis of marine food chains. Phytoplankton reduces the amount of carbon dioxide in the atmosphere by absorbing the gas and releasing oxygen through photosynthesis. Due to water pollution and global warming the concentration of phytoplankton in the oceans is reducing. 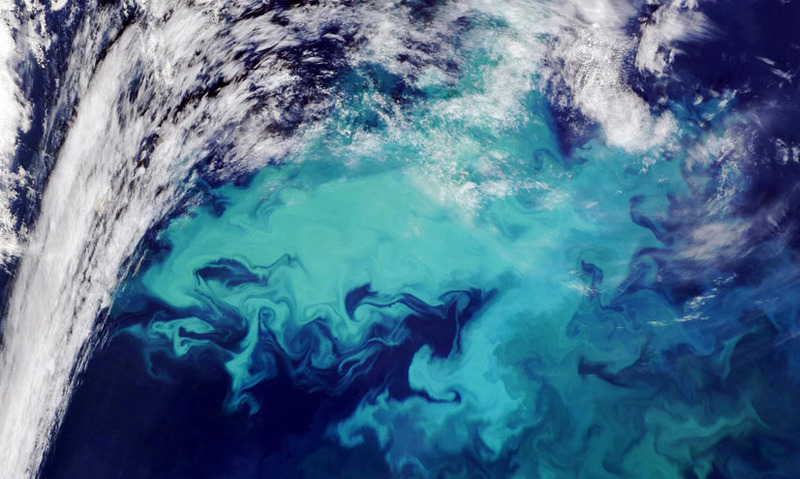 Human ability to affect phytoplankton growth has both benefits and threats; managing nature is never straightforward. From space, at certain points all over the world, an amazing sight can be seen. These glowing pools within the ocean are actually billions upon billions of tiny marine organisms, called phytoplankton. And they fulfil an important role in the carbon cycle.